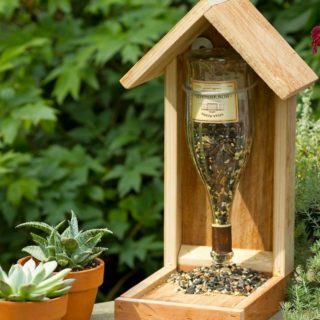 Are you the kind of crafty home owner who likes to make as much of your own home decor yourself as possible, giving your house a lovely, overtly DIY kind of aesthetic? 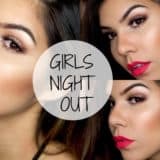 Then we’d be willing to bet that you’ve already considered making some creative lighting projects happen, but we also know it’s the kind of thing that some people feel they need a bit of guidance on. 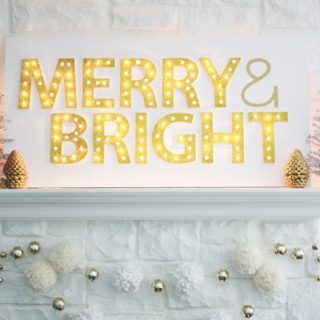 We’re right there with you, which is why we’ve had our eyes peeled for awesome, stylish DIY lighting tutorials as of late! 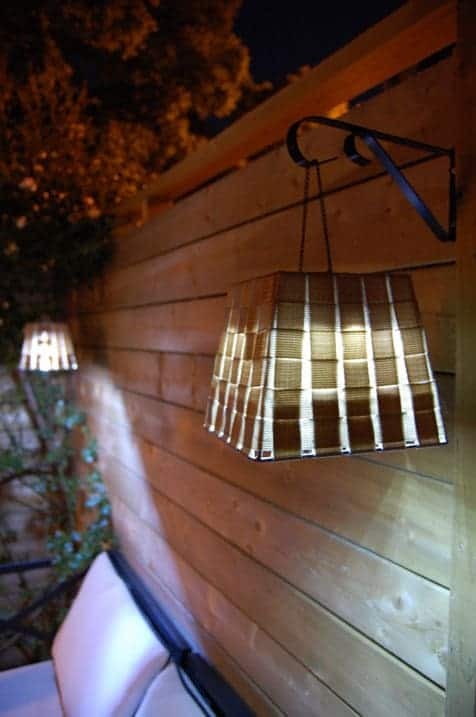 Just in case you love the idea of making your very own creative lighting fixtures just as much as we do, if not more, here are 15 of the very best designs that we’ve come across so far! 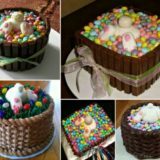 If you’ve never done any kind of glue and string wrapping project before then we’re sorry to tell you that you’ve really been missing out on something fun! 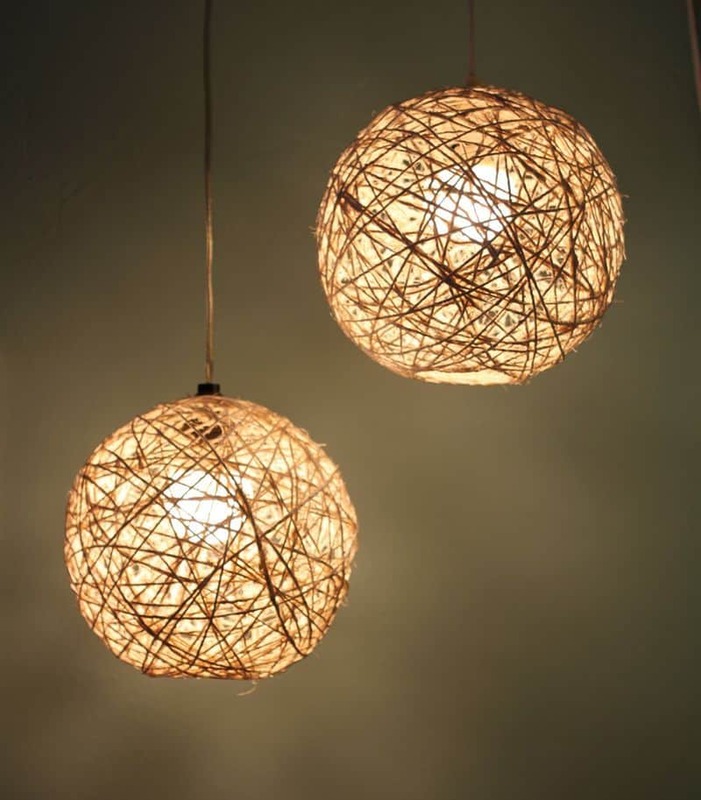 We’d suggest fixing that and giving the technique a try starting with this fantastic hemp string pendant light idea that’s wrapped to look like a cage shade. 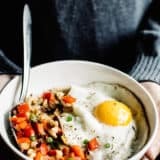 Get the full details for making it happen on Homedit! 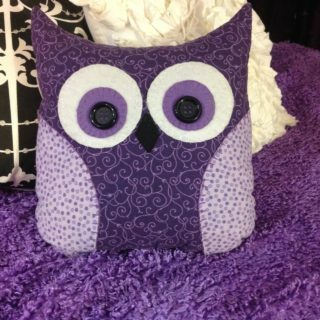 Are you actually a bit of a book worm besides being a crafting enthusiast, so you’re always looking for new ways to meld your favourite hobbies together in one place? 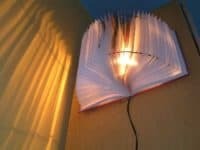 In that case, we’d definitely suggest taking a look at how Instructables upcycled an old, damaged book, giving it a new lease on life as a fantastic splayed book lamp that mounts right on the wall. 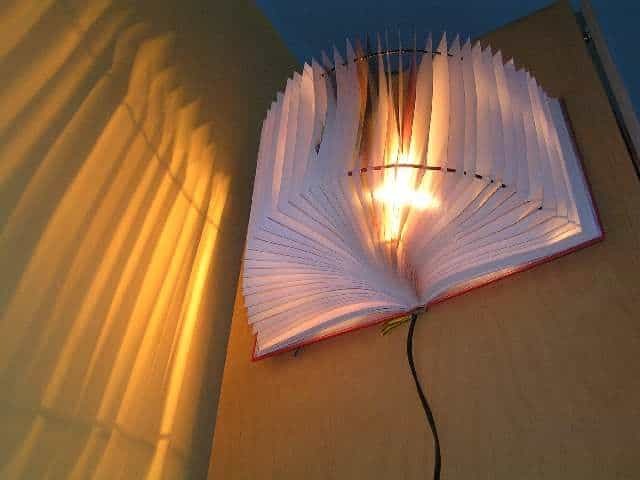 Have we really caught your attention with the idea of making a crafty lighting solution that’s really creative because it’s made almost entirely from unconventional materials, but you don’t have any spare damaged books to get crafty with? 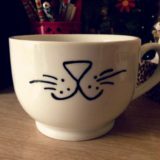 Well, if you’re the kind of coffee lover that over buys on filters then we think you’ll find this next idea from Crafty Nest rather intriguing! Check out their tutorial to see how they made this fantastic scrunched filter snowball light that mounts on the wall. 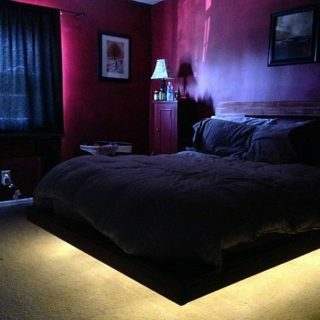 If you’re going to put in the time and effort it takes to make a creative DIY lighting solution for your home, would you rather take the time to make it really creative? 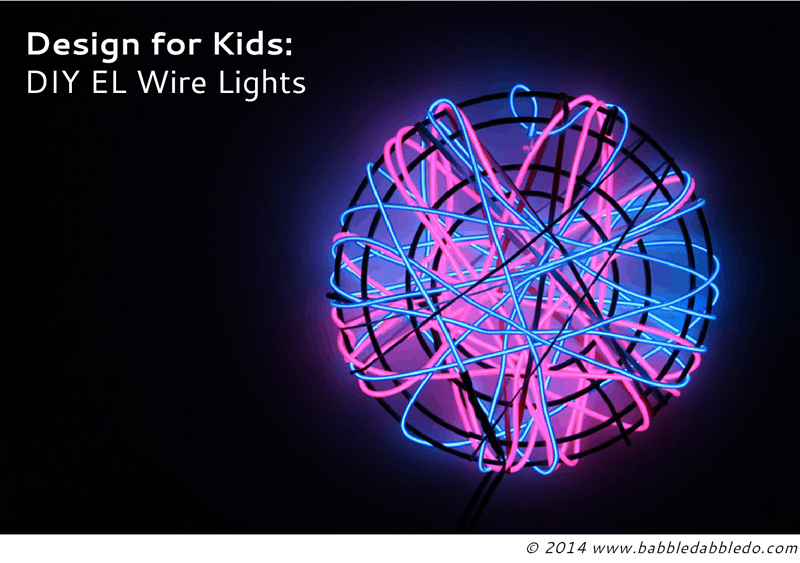 In that case, we think you’ll get a real kick out of the way Babble Dabble Do used EL wire lights wrapped around a hard wire frame to make this awesome neon piece that’s colourful and a whole lot of fun! 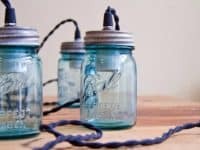 Are you actually a little bit pressed for time but you’ve been hoping to make some cute new lights for a dinner you have coming up, just to set the atmosphere? 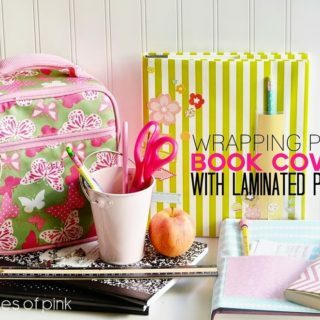 Well, believe it or not, paper can actually come to your rescue in a really cute way! 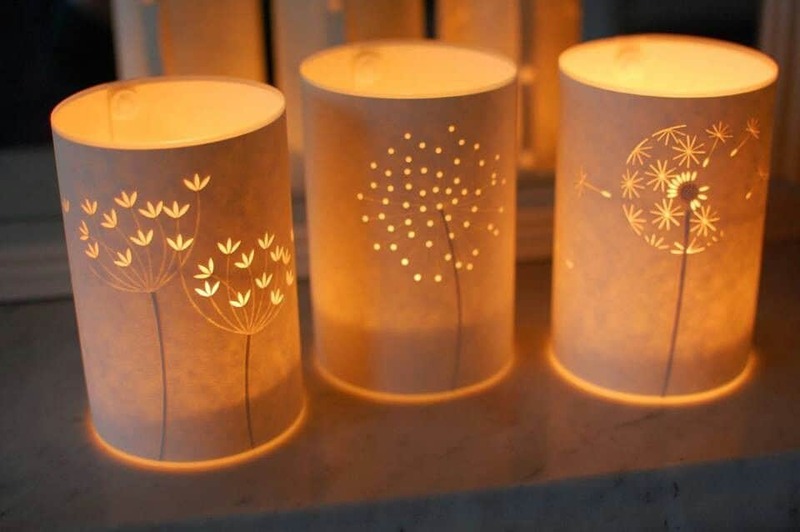 Check out how Kollabora made these lovely paper candle luminaries that feature cut out patterns to look like beautiful dandelions. 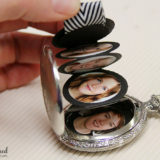 Their tutorial shows you how to make three different versions of the design in detail. 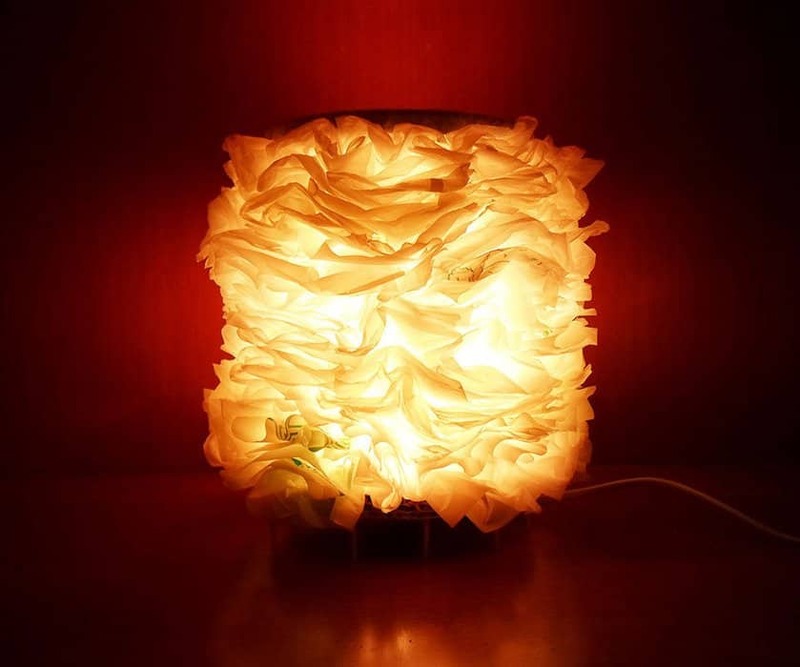 Did you actually really love the sort of frilly texture of the coffee filter light we showed you a little earlier on our list but you were hoping to make something a little smaller than the wall mounted design you saw earlier? 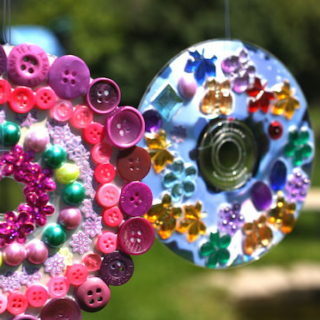 Perhaps you actually just don’t have any coffee filters and you were hoping to get crafty today. 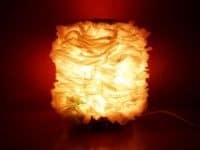 In either case, here’s a fantastic desk lamp with a similar texture but this time made from layered plastic bags! 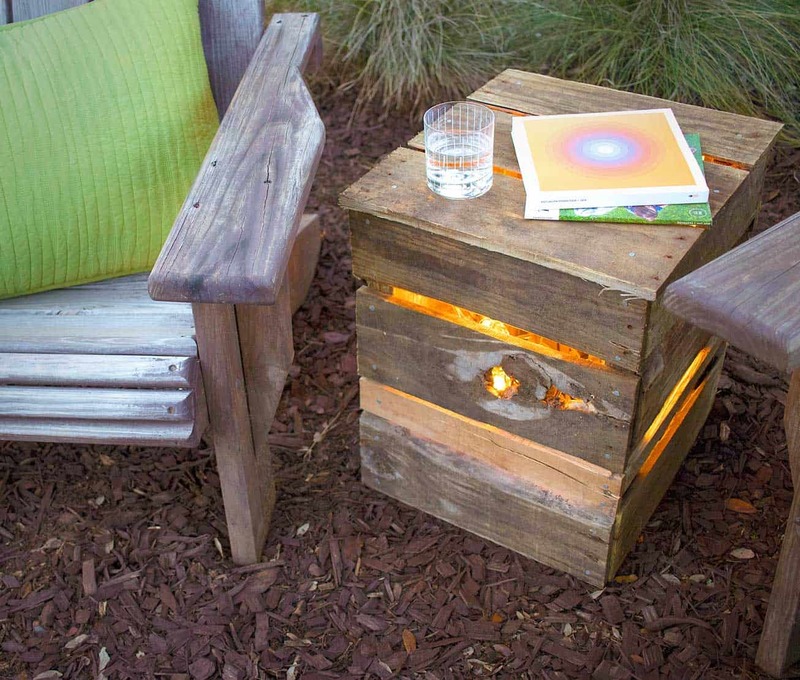 Get the full details for making one of your own on Instructables. 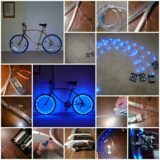 Have you actually been looking for a creative lighting idea that’s awesome looking but so easy that your kids could help you make it? 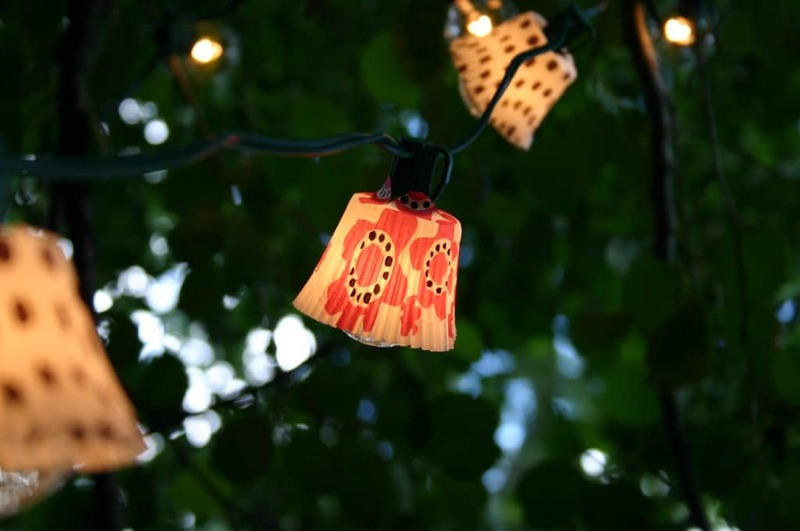 In that case, we’d definitely suggest taking a look at how The Teenage Digest made these lovely little origami shades to put on each individual bulb along a set of string lights! 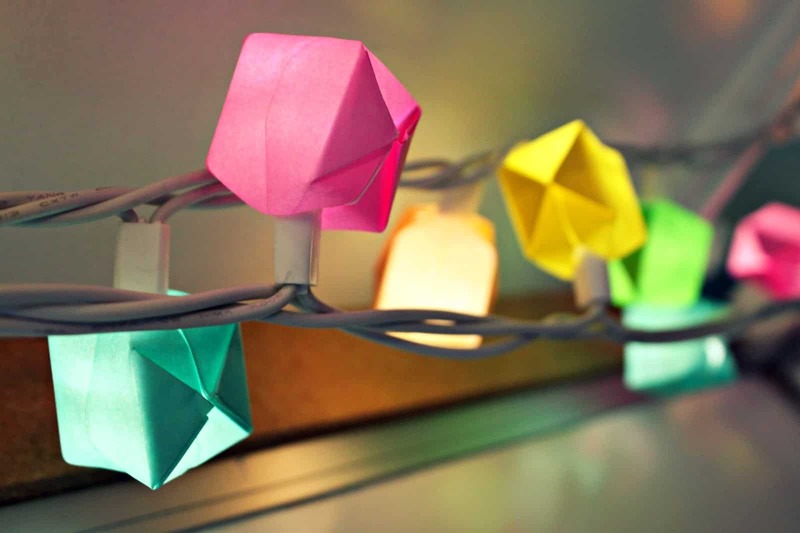 We love the way the differently coloured paper lamps make the light glow through in different shades. 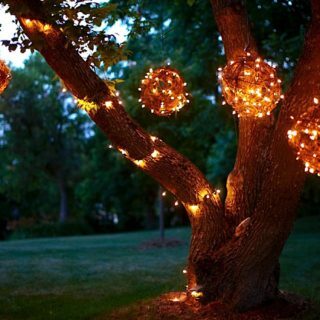 Just in case the string light concepts are really doing it for you but you don’t want to decide for sure until you’ve seen as many options as possible, here’s another one for your list! 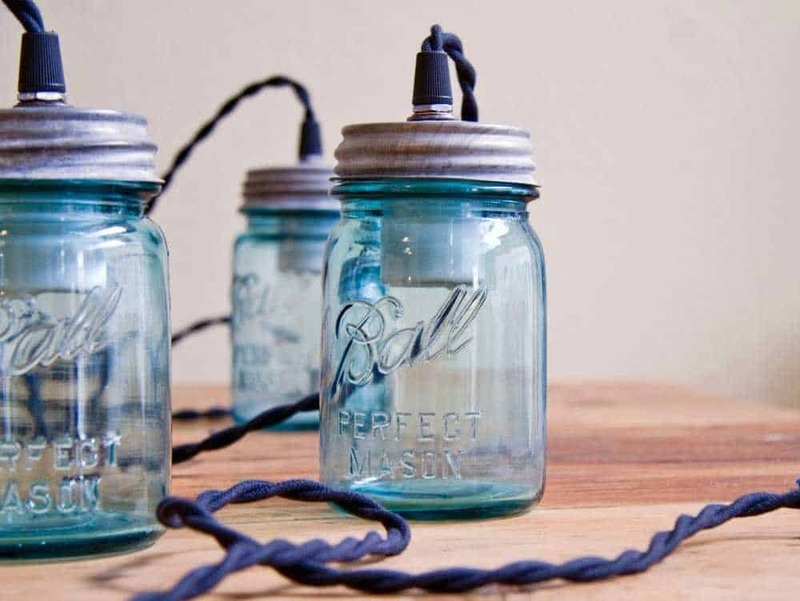 Michele’s Apples guides you step by step through the process of making little magnifying shades for string light bulbs from light glass mason jars, like the kind you’d use for homemade preservatives. 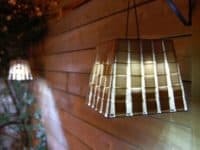 If you’re going to create a lamp shade from something unconventional, would you rather try your best to keep things cheap because you’re working on a budget right now even thought you’re determined to make some cute new home decor? Then we think The Art of Doing Stuff just might have the perfect solution for you! Take a look at their tutorial to see how they turned a dollar store basket into a shade by flipping it upside down. 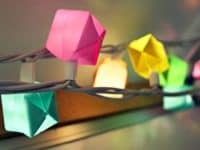 Are you still enamoured with the idea of having your kids help you customize a set of fairy lights for the yard or their playroom but they’re still very young and you’re just not sure they’re ready for origami like in the version you saw earlier on our list yet? 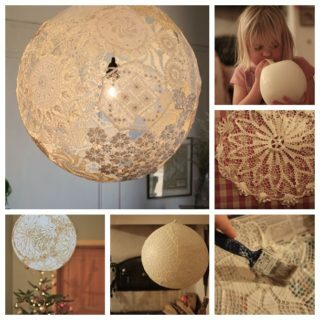 In that case, we’d definitely suggest taking a look at how Family Chic made tiny shades for each light on the string from colourful cupcake liners! 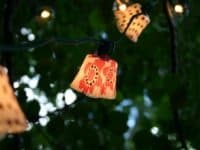 Did we actually really catch your attention when we started talking about creative lighting projects for outside your house but the designs you’ve seen so far just didn’t quite appeal? 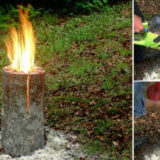 Then we have a feeling you’ll get along quite well indeed with this fantastic idea from Fiskars, particularly if you like a more rustic aesthetic. 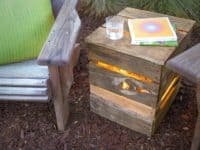 Check out their tutorial to learn how they made this light up wooden crate that’s perfect for patios and fire pit areas. Were you actually quite partial to the cutout idea we showed you a little earlier on our list but you’re looking for a design that’s a little more permanent than making something from paper allows for? 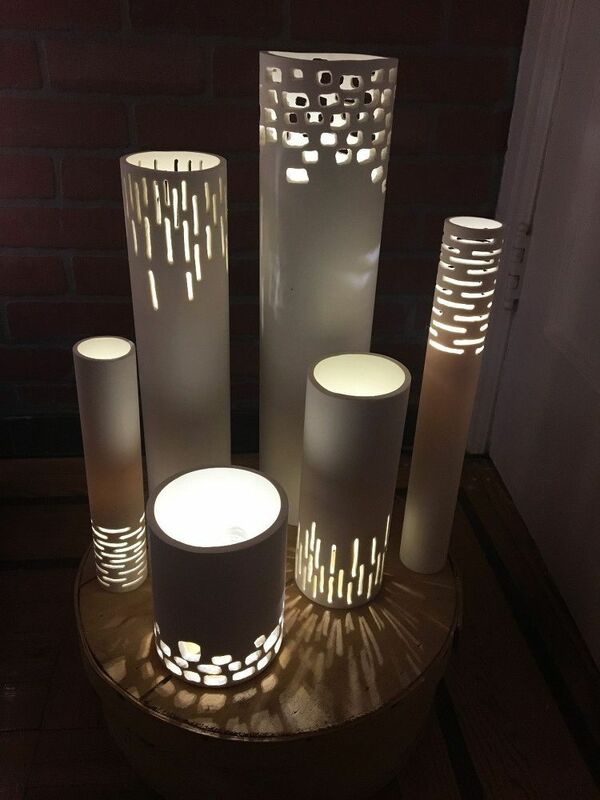 In that case, we think you’ll be very intrigued indeed to see how Hometalk created something quite similar out of differently cut lengths of PVC with shapes carved into the sides.